Anton Xavier is a co-founder of Label Insight and works closely with the marketing and the senior management teams. Consumer demand for transparency is another powerful trend driving shopper behavior. A study from FMI, in partnership with Label Insight, found a dramatic change in consumer attitudes towards transparency. The Transparency Imperative shows that 93% of consumers say it’s important for brands and manufacturers to provide detailed information about what is in food and how it’s made. But there has been a dramatic increase — from 74% in 2018 compared to 39% in 2016 — in the number of shoppers who say they would switch from the brand they usually buy to another brand that provides more in-depth product information, beyond what is on the physical label. Manufacturers vying for customer loyalty must develop an omnichannel strategy that meets shopper demands for convenience, personalization and transparency. One of the keys to delivering on these shopper needs is correct product attribution. Today’s product attribution needs are much broader than the historic shopper decision tree — from brand to size to flavor to price. 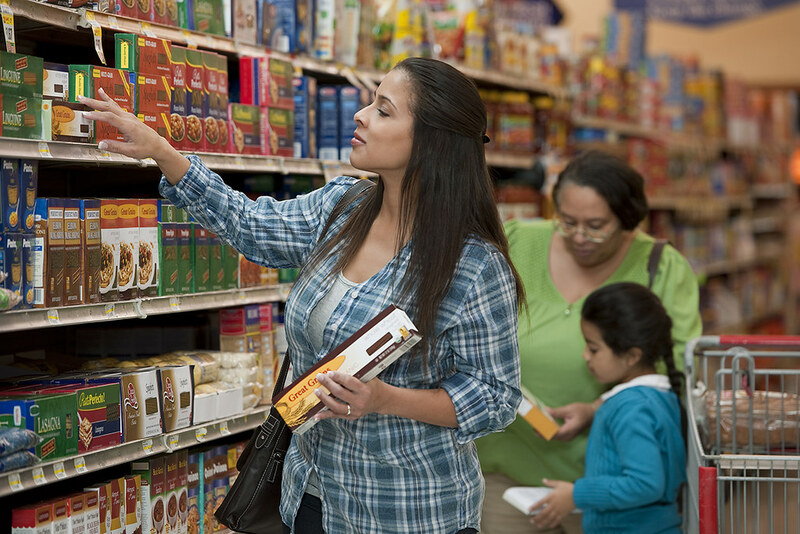 Many shoppers want to know exactly what a food item is made from, where the item is sourced from and all the components that make up an item. This higher-order attribution builds trust with shoppers and allows them to purchase the products that meet their needs. The problem is that transparency is hard. For smaller, nimble consumer brands with limited assortments, knowing everything about every product you sell is part of the job. The same person choosing which benefits of a product to promote, or how to position the product to a retailer, is likely keenly aware of the sourcing or manufacturing details of each product. In a small startup, each person wears many hats and likely plays a role in each of those responsibilities personally. However, for larger companies with hundreds or thousands of SKUs in market, transparency quickly becomes a data problem. They must consider generating data, maintaining it to be current and scaling that data to be used across operations, like with e-commerce search and display, analytics and category management, shopper marketing and targeted advertising. For e-commerce and master data management, this need for data is more obvious. Until the last few years, category managers were satisfied with fundamental brand, hierarchy and basic product attribution as part of syndicated data analysis and modeling. However, recently, there has been greater demand for more sophisticated product attribution solutions such as Nielsen Product Insider, which leverage high-order attributes to programmatically assign attributes based on structured raw nutrient, ingredient, claim/certification and allergen data. The category manager’s ultimate goal is to drive category growth, making high-order attribution an invaluable method of quantifying both the market size and growth opportunities for hidden characteristics, regardless of whether or not the brand makes a claim about that characteristic. Performing this type of analysis gives category managers the ability to react quickly to new information that certain characteristics are driving growth, especially if their products already qualify for them. For example, imagine that during a category review, the manager discovers high-protein products are seeing 60% growth in a flat category. Several products already qualify for a high-protein claim but do not yet make that claim on-pack. The category manager can take quick action — such as run a protein-focused ad campaign with a major e-commerce retailer, recommending their products when a shopper is viewing a high-protein product in the same category. There would be no immediate need to make packaging changes, but beta testing could help determine whether or not the manufacturer's targeting strategy lead to an increase in sales. Once shoppers become aware that some products provide data about previously hidden attributes, such as sustainability or diet, more shoppers will begin to make purchase decisions based upon them. In this competitive marketplace where growth requires taking share, harnessing the power of high-order attributes is the key to unlocking growth. Category management is a fact-based discipline. That principle mandates rigorous analysis of historical data to ascertain who’s buying what — where and when. Over the years, the assessment "what" analyses have become extraordinarily sophisticated, aided by much more robust, granular data enhanced by advanced analytical techniques, such as multivariate analysis and even artificial intelligence. This has enabled analysts to perform sophisticated analytics providing better understanding of multiple tactics and marketplace conditions. While understanding "what" shoppers are buying focuses on past behavior, it’s also imperative for manufacturers and retailers to understand "why" specific products are being purchased, and how any given brand may leverage the motivations. High-order attribute data gives rich insight into why shoppers are moving from item A to item B. For example, Nielsen Product Insider might show that in the ice cream category, which has grown at a modest 1.8% year-over-year, products containing sugar substitutes were growing 28% and represented 18% of ice cream category dollars. This single attribute is insightful by itself, but is even more powerful when seeing how it compares against other attributes in the category. Once the category manager has this insight into growth drivers, that person will be equipped to measure how assortment compares. If deemed relevant, a category scorecard metric could be assigned and performance measured against that metric. Practitioners are required to develop plan elements that deliver against these metrics on the assumption that doing so leads to a successful plan. What can retailers do to start leveraging high-order attributes in their category planning? Determine current position and capability with consumer-driven transparency need states as related to portfolio and category. Identify data gaps and explore viable sources for high-order attribute data. Assess trends and attitudes driven by key high-order attributes impacting category and portfolio consumer behavior. Create a transparency strategy and plan by revising transparency-focused category plans, beta testing of key initiatives, enrolling key retail customers, creating several specific initiatives that require retail collaboration and developing an internal transparency task force to drive these efforts forward​. Manufacturers have a unique leadership opportunity to harness the transformative power of this new class of attribute data. By delivering this innovation, they can create differentiation for themselves, and help to shape and define the path forward in partnership with their retail collaborators. In the process, retailers who adopt and implement this powerful new data can take a forward step toward differentiated customer experiences, both through their approach to assortment, and to the tools they make available to their customers to navigate, discover and buy their selection.